Today, in the 21st century we have a highly competitive world, and this is especially acute for business marketing, marketing specialists have to constantly look for innovative new ways to make their marketing strategies stronger so that they can generate higher revenues and also establish a robust business. The internet provides a lot of platforms for doing this, and it also provides opportunities for small businesses to become more prominent multinational brands. But the common aspect in allof this that remains the key to success is in the business website’s design. When you have a good design, you can lure more users to visit your site, and this can translate to more conversions and higher sales. Consequently, revenues will get more. Instagram is popular and simple in its design, and when you integrate Instagram type designs on your website, you can get wonderful results. This article will illustrate to you how you should use visual contents in your web design and Instagram like integration. Users will only take just some seconds to judge if they like the products you have or they do not and if they would want to purchase them. The real test lies in convincing your visitors in this little time limit that they ought to become interested in the products you have to offer and that they should buy certain products from you. What you can try is that instead of giving a complete list of the products you have to offer with big, detailed product descriptions in the homepage of your website you can try providing a running carousel which will display the photos of your top and prime products. It is necessary to make the photos of top quality, and the products must look at their absolute best. Poor quality will not lead you anywhere. Although, it may even help you in the initial stages but will flop the business in the long run. This feature can be like your business page on Instagram and would feature a continuous running photographic stream of your best products. Try to display the photos taken from your Instagram feed directly for this reason as it will then show how many people have liked your product previously and have shown interests in buying them. If the visitors get to see that other people have taken a fancy to certain products, then they will also be inclined in checking the products out and will devote some of their time in looking through it. It is crucial that you should make the carousel run horizontally and not like the design on Instagram where the photo stream is running on a vertical basis. But besides this, it will be providing the same basic simplicity that Instagram does to display your best products. If you are a new business venture owner, you may try to simply put up the photos of a few of your most popular products in the initial phases and then you can expand in trying to include pictures of your other products in addition to the popular ones. You can get a sufficient idea about the products which you must choose for this reason from your Instagram as you can check Insights on Instagram to find out which products of yours have got the most number of “likes” and reactions. 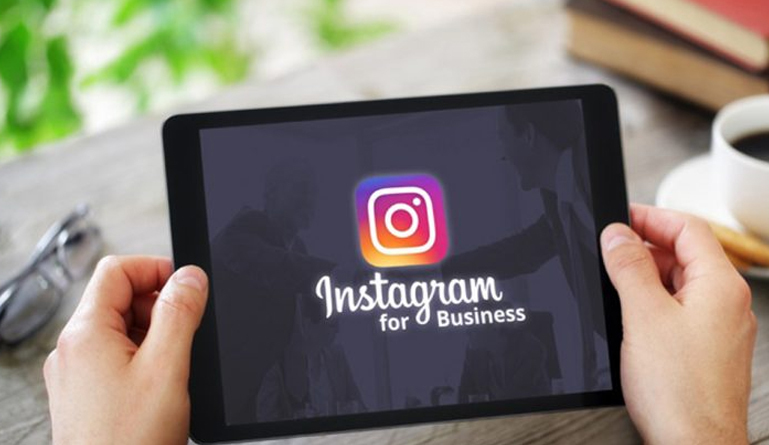 You must also include embedded links under the captions of your photos on Instagram as they can direct the visitors to your business website where they can get further information about your products and also make the purchases there. When you are uploading photos of your wares on Instagram, you must always remember to provide links inside the captions that will direct your users to click and visit the business website if they feel like buying your products. You have to remember that Instagram is to be used for marketing purposes only. Your business website will deal with all the business transactions. Whenever your users get transferred on to your business website, you must try to make the visitor comfortable with the overall design of your business website. You must display the details of your products and the correct prices over there. Include hovering links in your carousel and photo stream which will become visible when users move the cursor over those photos. The links will redirect your users to your business page. This will simplify the overall design of your business website greatly. You have to increase your followers for Instagram if you want to increase the revenues of your business and expand it on a higher level. The web design of your business website is one of the most important things that can have a significant impact on the way your business revenues are generated. The design of your site will qualify to people the nature of your venture in a proper manner. Research has shown that users will take only a few seconds to determine if they want to purchase anything from a particular website or not and this decision is based completely on the website’s design. Simplicity is the most essential quality of a business website, and it can arouse a lot of familiarity in a user’s mind when they visit your website. Instagram can provide a lot of inspiration to business owners on how to design their websites. Having a live photo stream on the homepage of your site will be good as it will display your products in a photo look. People who like the products can click on the pictures and directly visit the page where they can see the product details and then make the purchase.